"... Wordsworth and the BBC Concert Orchestra embrace the comedy and thrills of this album’s music with commendable enthusiasm ..."
"Here (Black) is remembered in some fine premiere recordings ... Barry Wordsworth steers the BBC Concert Orchestra with unerring agility." "... this music represents ‘a lost age of innocently witty film writing.’ As ever Chandos has done this repertoire proud with a luminous and full-bodied recording." In addition to scoring over 200 films, Stanley Black also introduced concert hall audiences and record buyers to a wide range of music, from both cinematic and classical repertoires, through his work as a conductor. Much of Black’s inventive scoring for horror films and comedies in the 1950s and 1960s has been in danger of sinking into obscurity because many of the projects on which he worked have largely disappeared from view. 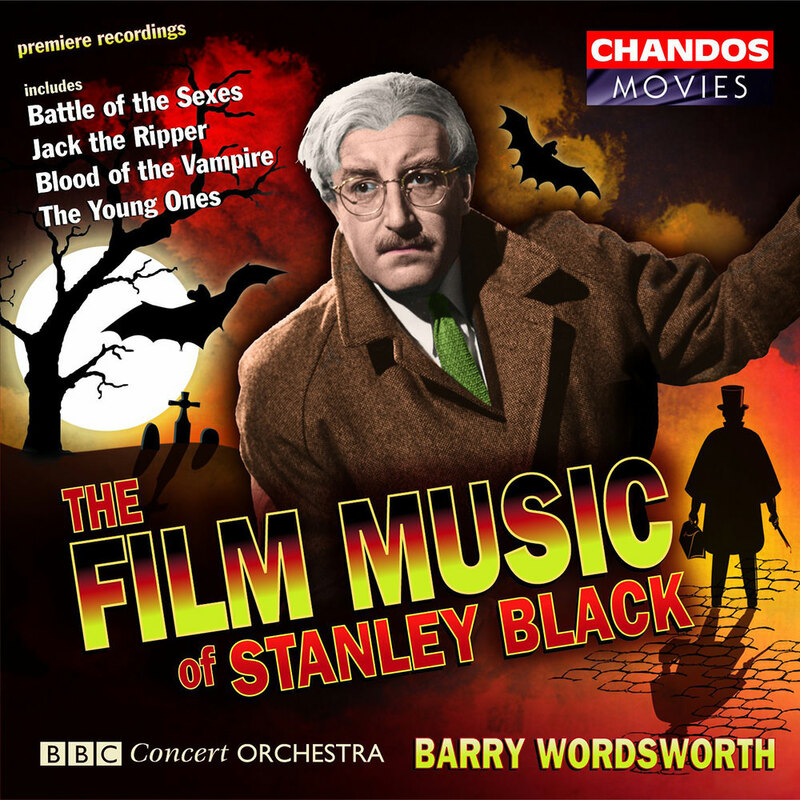 This album of world premieres from Barry Wordsworth and the BBC Concert Orchestra offers a timely reminder of the resourcefulness and versatility brought to the screen by an experienced film composer. Front cover Montage by designer incorporating image of Peter Sellers in Battle of the Sexes reproduced with kind permission from Euro London Films Limited.